Welcome to The Wabbit Patch! My name is Savannah and welcome to The Wabbit Patch! I have a small rabbitry located near Seymour, Indiana which is roughly one hour south of Indianapolis and an hour and a half north of Louisville. I raise Holland Lops exclusively, with great hopes of producing competitive rabbits. I mainly raise black torts and blacks, but I also have a side project where I am working on all four varieties of self and otter. My lines consist mostly of Hailey's Hollands, LL, Brocks Fallen Ears, and Pride N Joy. I am a member of the ARBA and HLRSC. Please look around and even drop a line at thewabbitpatch@yahoo.com. I update frequently, so check back often! PLEASE NOTE: I decided to shorten up my prefix. All rabbits born after January 1st, 2014 will have the prefix TWP. All rabbits born before will still have their The Wabbit Patch's prefix. Just so everyone knows that TWP is still The Wabbit Patch rabbits. 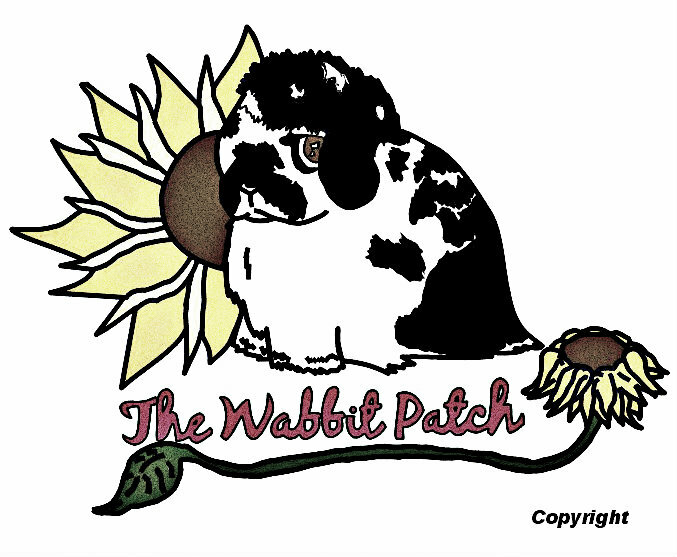 To get even more information on what's going on at The Wabbit Patch, like my Facebook page! Copyright 2009 - present. The Wabbit Patch Rabbitry. No portion of this site may be used without written permission from site owner, Savannah Todd.